The healthcare sector has seen major changes over the past decade. As technology has evolved, so too has the level of services offered within the industry. Each year, technology introduces new trends and benefits into the healthcare industry. So, what can we expect to see throughout the coming year? Here, we’ll look at some of the key health care technology predictions for 2019. This is perhaps the most unsurprising trend the healthcare sector is expected to focus on in 2019. More providers will be looking into adopting Electric Patient Records, helping to better monitor and manage patient treatment. Allowing practitioners to receive updates and records in real-time, this digitalisation is gradually revolutionising the industry. It’s also likely more services will become digitalised, such as booking appointments, and managing repeat prescriptions. Due to changes in data privacy, it’s likely the healthcare sector will see policy changes adopted in 2019. As the sector becomes more comfortable managing its data, it’s also expected there will be a move from big cloud data storage to smaller, more specialised cloud storage. Security wise, cyber attacks are expected to become more prevalent over the next year, forcing healthcare providers to tighten their security. There has already been an increase in the number of at-home monitoring devices introduced onto the market. However, as pressure is placed onto the sector due to cost cuts, it’s likely we’ll see an increase in patient-controlled health monitoring. Currently, patients can purchase testing kits for a range of illnesses and conditions, as well as test things such as their cholesterol and blood pressure. As technology continues to advance, we’ll likely start seeing more testing and monitoring devices introduced onto the market. Innovation is a big factor all businesses should be concerned about. In 2019, it’s thought the healthcare sector is going to focus a lot of its efforts into innovation. Pharmaceutical companies in particular, will be seeking out innovators to boost their portfolio. 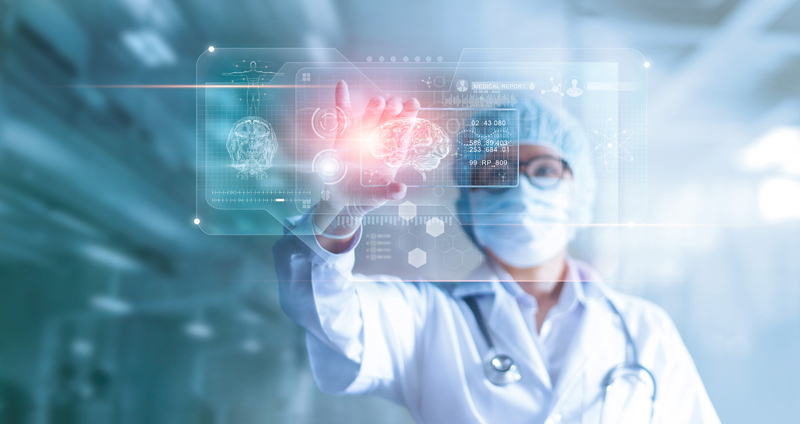 From digital health companies to biotech upstarts and AI start-ups – there will be a lot of collaboration taking place within the healthcare sector this year. It’s no secret that the mental health sector is under extreme pressure due to lack of funding and staff shortages. So, in order to try and bridge the gap, in 2019 focus is being placed upon introducing more tech into the sector. This will allow patients to monitor and manage their mental health much more effectively. There will also likely be more tech introduced to help treat and support mental health patients. The above are just some of the health care technology predictions of 2019. There are certainly a lot of changes occurring within the sector at the moment. Digitalisation in particular, is going to be a huge focus and one of the biggest benefits to the industry.